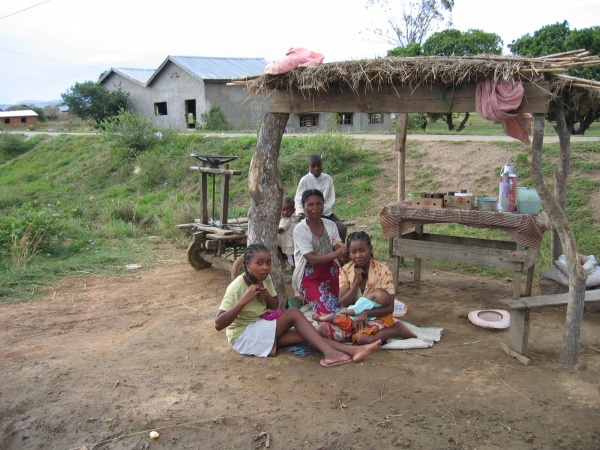 About 3,3% of the population of Madagascar are Bara. The Bara people originate from the southwest of Madagascar, near Toliara (Tulear). Today they live at the southern end of the central highlands, near Isalo, Ihosy and Betroka. The relaxed town of Ihosy is the regional capital. The Bara had two kingdoms, one of which survived until it was disbanded by the French. The Bara were never conquered by the powerful Merina. Over time, the semi-nomadic cattle raisers became settled farmers growing rice, millet and corn. They keep large herds of zebu cattle. By tradition, a Bara man can have several wives. Women have an inferior position in the society. The men usually pay higher value to their cattle than to women. A boy will only be recognised as a man and therefore can expect to get married, if he has stolen some Zebus of a neighbour. The Bara also have a reputation of being valiant warriors. Isalo National Park with its sandstone rocks is sacred to the Bara tribe. Since hundreds of years they use caves in the canyon walls to bury their dead. In the event of death of a close relative, it is traditional to shave the head. This page was last modified on 17 July 2012, at 04:51.